Silent Sunday: 20 January 2013 | Phil – Refuelled! Wow. That’s a serious icicle! Awesome photo! What you can see is the ‘shoe’ of a downpipe over a drain gulley. 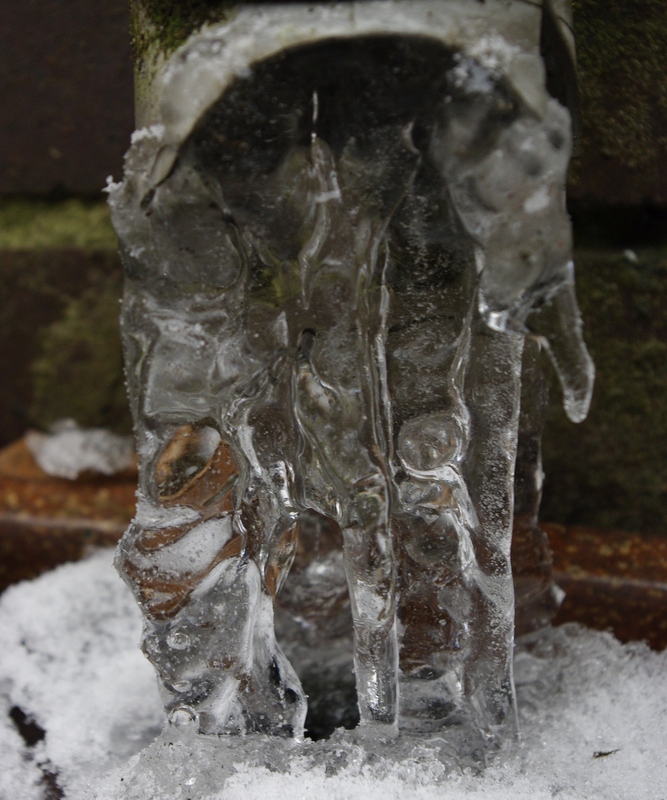 I imagine the whole pipe going up the house wall is blocked with ice! I was just trying to work out the scale, then read your comment. That pipe is blocked!!! That is fabulous and so cool! Amazing and quite frightening to look at. It does look quite creepy! Great shot though!